A lone character lies in their bedroom, swiping the phone in search of contact. With a friend, they renovate their online persona, receive an invitation from a stranger, and arrange for an evening together. As the night deepens, communications obstruct, destinations evade, and attempts at intimacy unmask a profound and insurmountable corruption. Opacity is a dark reflection on the new strategies of connection, reverberating with dread, oddness, and seduction as it advances through its own inexorable and absurd logic. Opacity is built around the framework of the “interface,” specifically the threat of the increasingly opaque intermediation of algorithms between the real and the experienced. 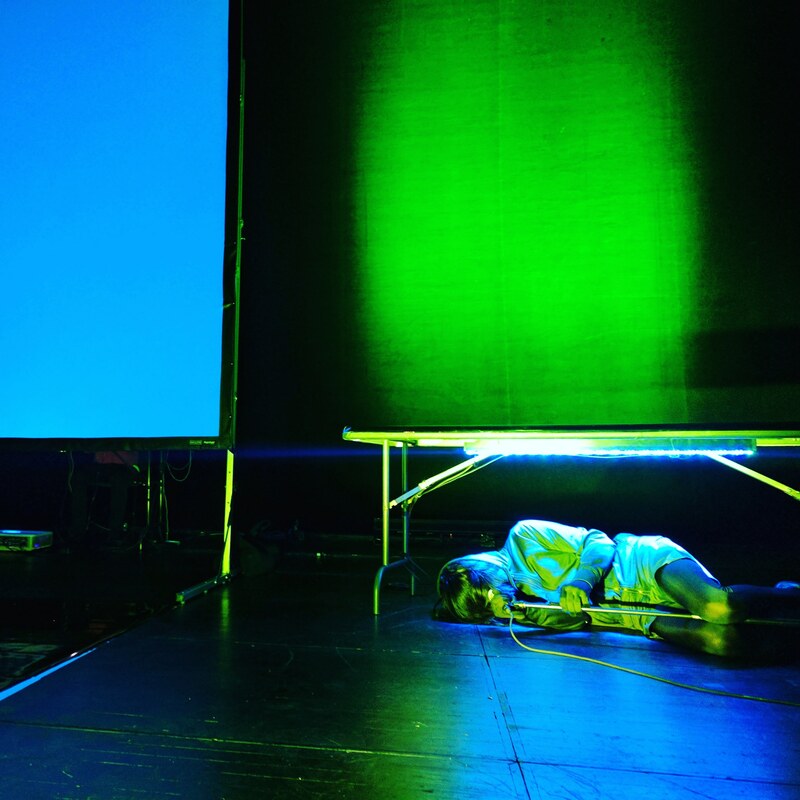 The performance uses sculptural, choreographic and computational models to hack, encrypt, spoof, troll, spam and camouflage our digital identities, and return these coded selves to the realms of the real. The performance consists of modular scenes of mundane life staged in sculptural abstraction, exploring desires and attempts to connect to one another online though opaque interfaces (social media sites, romance apps, image-sharing web apps), with their simultaneous abilities of cloaking, catfishing, fake accounts, bogus avatars, twitter bots, algorithmic responses and the system’s constant surveillance from behind the interface. Each scene alternates with synthetically produced contemporary songs, touchpoints to the obsolete and ‘warm’ technology that foreshadowed the all-enveloping cloud which entangles our daily lives of omnipresent data collection.